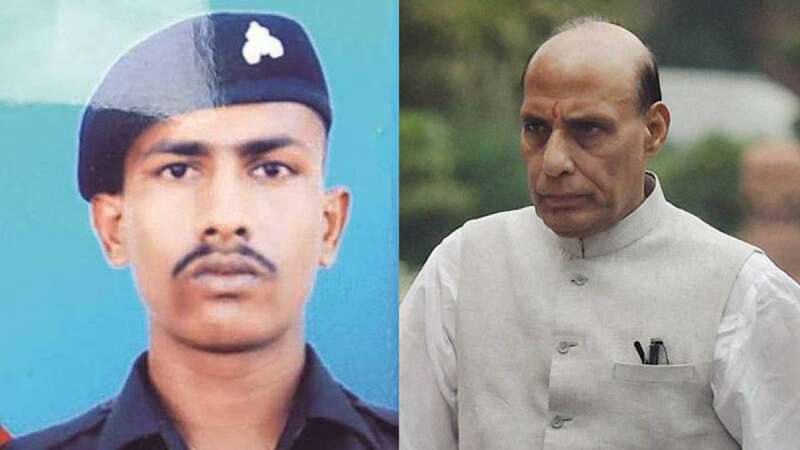 New Delhi : Amid escalating tensions between India and Pakistan across Line of Control in Kashmir, an Indian soldier Sepoy Chandu Babulal Chavan has gone missing. He is believed to have accidently crossed the Line of Control to Pakistan on Thursday. The Indian government is making all possible attempts to bring him back to India. “All attempts are being made to secure his release,” Rajnath Singh told reporters on Friday. The Home Minister also said that New Delhi will take up the matter with Islamabad for his early release. # An Indian soldier Sepoy Chandu Babulal Chavan, who had accidently crossed Line of Control to Pakistan, is missing since Thursday. # Pakistan has denied to having any information about his whereabouts. # With the recent surgical strike by India, the process of Chavan's return to India can prove to be a difficult one. # Indian Army has confirmed that Chandu Babulal's crossing over was not related to the surgical strikes. # Chavan's grandmother passed away on Friday after hearing the news. Do share your thoughts with us on the news and pray for his safe return to India.